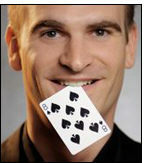 Become a Member of The Magic Circle. The Apprentice Scheme: The Magic Circle Apprentice Scheme allows those wishing to join The Magic Circle the opportunity to enjoy the benefits of being a Member as they prepare to take their exam. Apprentices in addition receive mentorship and support to pass their exam. Apprentices are expected to show potential to pass The Magic Circle examination within two years. 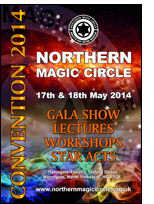 They are also not entitled to call themselves members or have use of The Magic Circle logo. Who Can Join as an Apprentice? Applicants seeking to join as Apprentices must be over 18 years of age and be proposed by an existing member who has known them for at least one year (many local Magic Clubs contain members of The Magic Circle who will be able to give you advice and may become your sponsors. However, this requirement may be relaxed if the applicant can offer sufficient justification of their suitability for Apprenticeship.) They will then undergo an interview with one of the senior members of The Magic Circle to establish that they have sufficient knowledge and skills. The Examination Process: The Magic Circle welcomes applications for membership from competent magicians (amateur or professional) from around the world. All such applications will be positively considered. Following receipt of your Application Form, an interview will be arranged by the Examinations Secretary whereby he/she or his/her Deputy will talk to you to ensure that your magic skills are at an appropriate level. The interview will take place at The Magic Circle HQ with an opportunity for you to enjoy an evening at the world's most prestigious magic club, to explore our HQ and to see some examinations taking place. Subject to a successful interview, you will then be invited to do your examination (audition), where you will be judged on your magical technique and presentational skills. You can read/download the 'Guide to Examinations' booklet and the 'Guide to Marking' mark scheme from this page. If your magical interests are more theoretical there is an option for you to submit a thesis rather than a practical demonstration of your magical skills. If you pass that examination, you will be recommended for membership to the ruling Council of The Magic Circle. The final step is for Council to ratify your membership by ballot. This may seem a lengthy process but it is well worth it to be able to claim membership of the world's premier magic club. 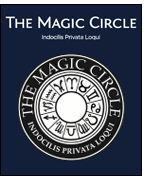 Some of the Benefits: Membership of The Magic Circle gives one the right to enjoy the facilities of the finest magic club headquarters in the world. 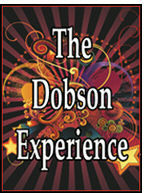 There is the Club Room, with a drinks and refreshments bar, where one can meet and entertain fellow magicians in comfort. The Library houses over 6000 magic books for loan or reference. The Museum holds a fascinating collection of magical artefacts and houses the finest collection of magic posters in the UK, possibly the world. The beautiful Devant Room is the perfect space for showing the latest tricks and moves to one’s peers. The Magic Circle Theatre offers performers and lecturers an ideal environment to complement their work, supported by an expert team of technicians using the latest hi-tech equipment. All members receive the acclaimed full colour monthly magazine, the Magic Circular, which provides news, reviews and articles on history, performers and magical effects for members only. Regular lectures by the world’s finest lecturers, the opportunity to meet and discuss magic with the world’s finest magicians, and the hands-on tuition provided by the ever-popular Summer School, ensure that you will continue to improve your magical ability. As a member you will gain the opportunity to take part in prestigious competitions and attend additional events. Paul Daniels and Debbie McGee: The 'Back Despite Popular Demand' Tour! Paul Daniels and Debbie McGee are 'Back Despite Popular Demand' later this year as they weave their spell across the country. www.pauldaniels.co.uk/tour-dates. God versus The Mind Reader. Oxfordshire-based mind reader Mark Cairns is repeating his 2013 Edinburgh Fringe show, God versus The Mind Reader, performing a new and expanded version for a limited run as part of the Oxford Fringe in late May and early June. "I wanted to give southern performers, friends and family who didn't get to see the show in Edinburgh a chance to see it." he said. Mark has spent the last 12 years entertaining corporate audiences up and down the country with his mind reading, but this show takes things in a very different direction. The show is based on Cairns own personal experience: "Four years ago, and completely out of the blue, my wife of 16 years sat me down and told me that she had secretly converted to Islam a few months earlier. The resulting divorce left me wondering how a person who had professed not to have any particular belief could suddenly become convinced of the existence of what I saw as an imaginary being, and such a specific flavour of imaginary being at that. Then it hit me. Who could be better placed than someone who earns his living through making people believe the unbelievable to understand just how someone could believe something that isn't true." Cairns describes God versus The Mind Reader as a show that examines just what it is that makes the human mind so willing to believe, be it in psychics or gods. "I'm a sceptic myself," says Cairns, "but I set out with the objective of not being confrontational. Instead, the show is designed to examine the sort of psychology I use to create the illusion that I can read minds and then gently draw parallels between that and the psychology of religious belief. After the Edinburgh run, the thing that struck me was the response I got from believers. Obviously atheists enjoyed it, but I was surprised by the amount of interest it got from those of a religious persuasion. While I don't think I won anyone over to my way of thinking, that wasn't really what I set out to do. I just wanted to give people something to think about, and present a perspective on belief that a lot of people never get to see; that of the professional charlatan."